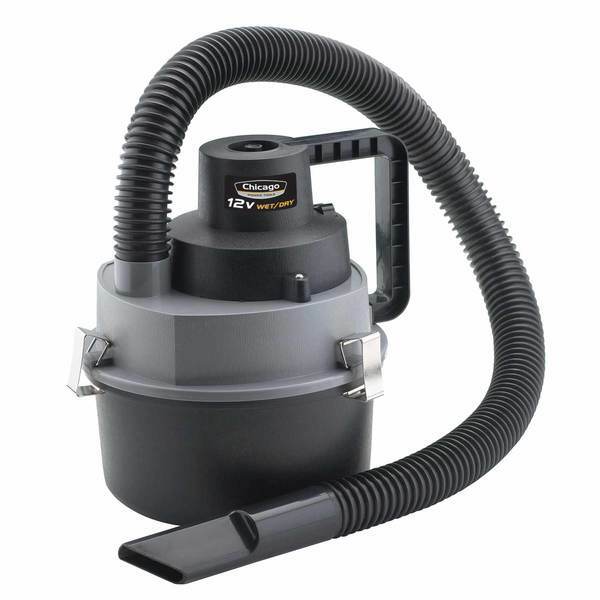 This versatile 12-volt vacuum can be used for wet or dry cleanup or for inflating air mattresses or water toys. This portable wet-dry vacuum plugs into any 12-volt outlet and has a 9’ cord. It comes with a brush, crevice tool and nozzle accessories. Use it to clean up wet or dry messes and then inflate the tube and take the kids for a ride. Comes with a 3’ hose and a built-in carry handle.